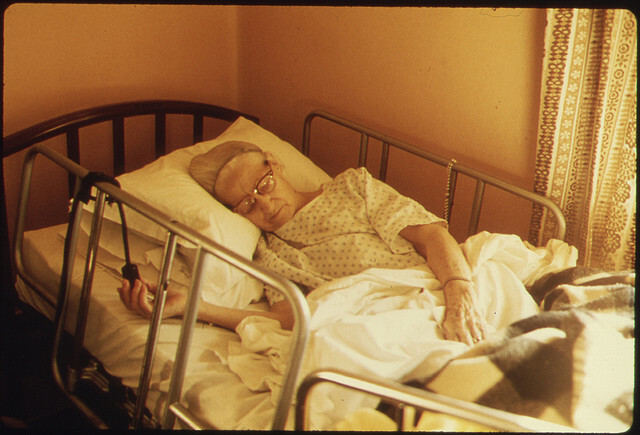 Dignity Therapy is a brief form of psychotherapy developed by Harvey Chochinov, MD with a goal of conserving a dying individuals sense of dignity. It attempts to address sources of psychosocial and existential distress, all the while giving individuals a chance to record the meaningful aspects of their lives in a written document they can pass down to their survivors. Tell me a little about your life history, particularly the parts that you either remember most or think are the most important? When did you feel most alive? Are there specific things that you would want your family to know about you, and are there particular things you would want them to remember? What are the most important roles you have had in life (eg, family roles, vocational roles, community-service roles)? Why were they so important to you and what do you think you accomplished in those roles? What are your most important accomplishments, and what do you feel most proud of? Are there particular things that you feel still need to be said to your loved ones or things that you would want to take the time to say once again? What are your hopes and dreams for your loved ones? What have you learned about life that you would want to pass along to others? What advice or words of guidance would you wish to pass along to your son, daughter, husband, wife, parents, or other(s)? Are there words or perhaps even instructions that you would like to off er your family to help prepare them for the future? In creating this permanent record, are there other things that you would like included? The conversation that flows form these questions is subsequently recorded, transcribed, edited and returned to the patient to make any changes before a final version is produced that can be shared with family and friends. No difference was found between the three groups in any of the multiple primary outcomes that measured distress. These included any difference between before and after study measurements in the Functional Assessment of Chronic Illness Therapy Spiritual Well-Being Scale, the Patient Dignity Inventory, the Hospital Anxiety and Depression Scale (HADS), items from the Structured Interview for Symptoms and Concerns, a two question Quality of Life Scale, and the modified Edmonton Symptom Assessment Scale. The authors attributed these negative results to a floor effect as the level of distress in this population was pretty low. They highlight though the significant improvements in the secondary outcomes. These outcomes were addressed by a survey done after study completion with questions addressing patients experience of participation in the study and how it had affected them and their family. Patients who received dignity therapy were significantly more likely than those who received standard end-of-life care to say the treatment was helpful, improved their quality of life and sense of dignity, and that it had or would be of help to their family. To be honest, I'm not sure what to make out of the secondary outcomes. No data is given on how close to the end of the study the survey was given, but I'm guessing pretty close to the end given that these patients are at the end of life. Why then the big difference in primary and secondary outcomes? It seems that more individuals believed their quality of life improved with dignity therapy (secondary outcome), however their measured quality of life using the pre-post data didn't differ (primary outcome). So, is Dignity Therapy truly better in improving quality of life or is it just that people felt more connected with the therapists in Dignity Therapy so decided to rate it higher when answering the survey? Another big question that this study raises for me is whether I could justify using the resources we have on something like Dignity Therapy? Dignity therapy in this trial seems like a lot of work. Just the transcribing and editing of the patient interviews must take a significant chunk of ones day. Plus the training and supervision in this trial will probably never be repeated in real clinical practice (initial continuous supervision of therapists followed by group supervision every 6-8 weeks, and continuous review of random samples of transcripts). Then again, Dignity Therapy may give individuals at the end of life an opportunity to share things with their family members that they may not otherwise share, like regrets, requests for forgiveness, and expressions of love. This blog post comes at a perfect time. Our hospice program is currently developing a process by which we can incorporate the principles of dignity therapy. Would love to hear from other programs that utilize some of these tools. Remember life review? It's still important. It's been around in hospice circles for 25 years. Viktor Frankl's logotherapy that he practiced once out of the concentration camp is still valuable today. Finding meaning is the goal. When patients are willing and symptoms are controlled, to take a look at their life, I believe it is the PROCESS of presence and listening that brings validity and dignity to the patient and the life review. It can be done with the family present, taking notes. It can be recorded on a video camera, or tape recorded. Although I love the concepts and questions about dignity therapy, I honestly believe that unless you can train volunteers to do it, we need our other team members and funds for getting the very basics accomplished. However, finding meaning is a very basic and important part of our care. We did it with a video for one patient who was the last surviving member of a small village and really NEEDED to tell the history. After it was done, he relaxed and was at peace. Every patient is a story. The important piece, I believe is...do they experience value as an individual after telling their story, and leaving their legacy, and did the survivors benefit also from the information? As I chaplain, I think caringrn has it right. Allowing the patient the space and time to tell their story and by our non-judgemental presence giving value to that story is what Dignity Therapy is all about. The process of finding meaning is essential and Dignity Therapy is one way to do it. I would call Dignity Therapy at base spiritual care as opposed to psychotherapy. And it is the kind of spiritual care that all health care providers, not just chaplains, should be engaged it. In fact, Dignity Therapy is used by some chaplains and would be used by more if were better known in the professional chaplaincy community. Finally, I don't think training is really a barrier here. Many of us, including all board certified chaplains, have the basic skill set for Dignity Therapy. I would suggest that this is not a question of can we afford the time, it is a question of how can we not afford the time to help all of our patients find dignity and meaning? from my previous post - I meant to say original Chochinov work was based on a qualitative study !! Apologies! One additional question I have is whether there might be a subset of patients who really responds to Dignity Therapy, as opposed to a broad, one-size-fits-all approach. There was a study of patients with limited prognoses at our hospital in which patients reported that they would want exactly this kind of thing. But those were the folks who agreed to be interviewed for ~an hour. So maybe we could do a better job of figuring out who to do this with? I suggest that this Dignity Therapy program should be implemented in all nursing homes in the U.S.
As someone who has experienced a life threatening illness I believe that dignity therapy would give patients a sense of peace meaning knowing that their story will live on even though their physical life may end. I think it is also helpful for family members to create a memorial scrapbook about their loved one and share it with them if possible. If their loved has dementia or is non-responsive in some way creating such a memoir would help the family honor their loved one's life in a tangible way. Both my parents and most of my aunts and uncles are deceased. I have created memory albums about their lives and wrote about how their lives enriched mine. As a grieving person it was helpful for me as I was going through the grief process,little did I know I was performing "dignity therapy". Now I have these lovely scrapbooks and stories to share with my grandchildren and help them know the relatives they never met. It is a way to honor the beauty and dignity of every human life and a way to enlighten descendants about their family history and roots. We are whole human beings with a physical and spiritual nature, why should we be so concerned with only the physical aspect at the end of life and ignore the spiritual nature of our being? It seems to me that the spiritual value inherit in an ethical will and life story far surpasses the value of legal wills that strictly deal with financial matters and possessions. I agree that dignity therapy is a great idea for all nursing/ healthcare programs. Ensuring patients get the best quality of life possible should be their number one priority, and dignity therapy would definitely help raise that quality of life. I have to say I really like the idea of dignity therapy; it sounds like a really nice thing to do with someone who has come to the end of their life. However, having read the paper and looked at the primary data we have to conclude that it doesnt improve quality of life or mood, or indeed any measured outcome. For me, the secondary outcomes are meaningless as they likely reflect a response bias, and the questions asked is not appropriate for the control group. If you have any faith in the scientific process you would have to admit that, at the moment, the data says that it doesn't work. Clinically therefore it is not, with the current state of evidence, worth an investment. If volunteers want to engage in it then I see no reason why not. However, one last issue..is this a therapy? To my mind a therapy implies a systematic intervention. In reality this word is over used and applied to any nice thing that you can possibly do with someone: we have equine therapy, music therapy and now dignity therapy. These are all great things to do with someone who is unwell, but for me they are not therapies.